For the month of February, Free I.T. 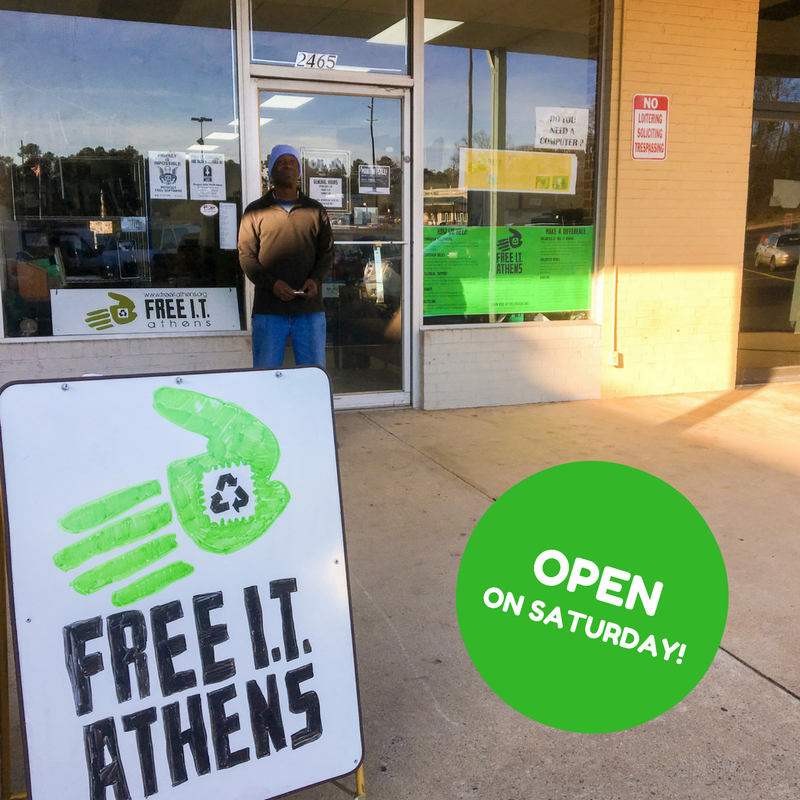 Athens will be open from 9a-1p on Saturday. William opened up the work space on Saturday for the very first time in Homewood Hills. For a long time, Free I.T. Athens has only been open 10 hours a week. This month the FRITA volunteers are experimenting with bumping that number up to 14 hours! The goal of this experiment is to gauge community interest. If we can better serve Athens by opening up during this time slot, then we’ll add it permanently to our list of official hours. Let us know what you think! Would Saturday morning hours be a good time for tech support/shopping/donating? Is there a better time? Email your thoughts to contact@freeitathens.org, post to the Free I.T. 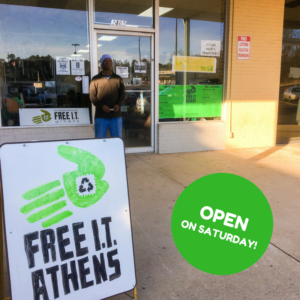 Athens Facebook page, or tweet us @freeitathens.